North Light Books, 9781440354618, 128pp. Drawing is the most essential of all visual arts. Everyone, from sculptors to painters, draws in one form or another. It is also the simplest and most affordable form of artistic expression. All you need is a pencil and paper to make something magical. But to create a successful portrait, one must understand how to capture a person's likeness--their spirit--and portray it in graphite. 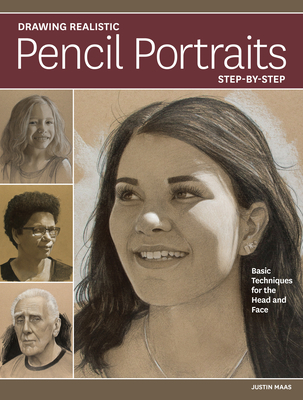 In Drawing Realistic Pencil Portraits, artist and teacher Justin Maas provides a step-by-step guide for both novice and experience portraitists looking to enhance their skillsets. His tried-and-true techniques for mastering the basics and accurately rendering proportion, placement and nuance when drawing the head and face will help you add energy and life to your drawings and create recognizable and moving portraits.